The Dark Sky Initiative supports a motion being put to all members at the Isle of Wight full council meeting tonight (Wednesday) calling for a ‘local lighting code’ to be introduced. The Isle of Wight has an exceptionally high quality of night sky that means it is potentially eligible for ‘Dark Sky’ status. The Isle of Wight Dark Sky Initiative aims to achieve Dark Skies Community Status for the Isle of Wight. 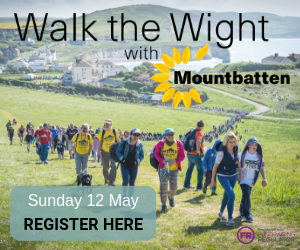 The Initiative is a joint project between the Isle of Wight Area of Outstanding Natural Beauty (AONB), Vectis Astronomical Society (VAS) and the Campaign to Protect Rural England (CPRE). Dark Skies are special areas across the world where there are low levels of light pollution. When there is an absence of light pollution, thousands of stars are revealed at night, this is beneficial to the wildlife and tranquillity of an area along with providing an out of season boost for tourism. The International Dark Sky Association awards different grades of Dark Sky Status to areas of land that are recognised as having exceptional or distinguished quality of starry nights. Dark Sky Status helps to protect these areas for scientific, natural, educational, cultural heritage and public enjoyment. Currently there are 64 Dark Sky areas around the world. In the UK these include the Channel Island of Sark, the Brecon Beacons National Park and Dumfries and Galloway Dark Sky Reserve. An essential part of the criteria for Dark Sky Community Status is the approval of a comprehensive lighting code within the jurisdiction of the Community. As such the Dark Sky Initiative supports the motion being put forward by Councillor John Medland at the Isle of Wight Full Council Meeting on 15th November which will move the Council forward in this regard. “In 2016, CPRE released maps of the UK highlighting ‘Night Blight’ or excess levels of artificial light. “The Vectis Astronomical Society has long been a supporter of achieving Dark Sky Status for the Isle of Wight. “To this end we have taken measures of the sky over the Island at night using Sky Quality Meters and have shown that now the Island has a very dark sky at night over much of the area, apart from places such as Newport, Ryde Cowes and the South Coast Bay area. “The Isle of Wight has effectively made great steps towards Dark Sky status through the new street lighting introduced in recent years. As such there is little if any infrastructure expenditure now required to pursue the application for Dark Sky status. “What is required, are clear rules within the Council’s planning documentation. In due course these could be included in the revised Island Plan. 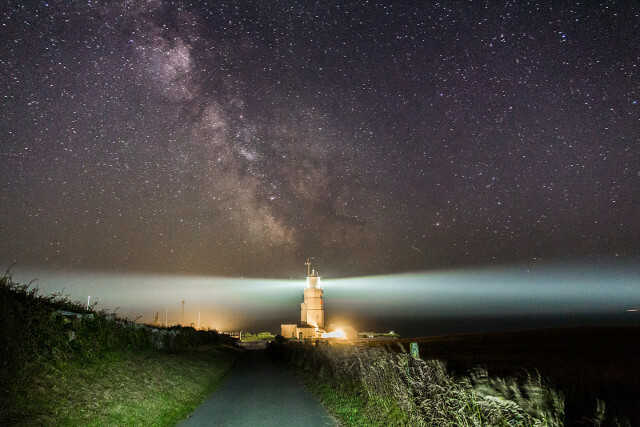 The Isle of Wight has a relatively high quality of night sky with low levels of light pollution which makes it potentially eligible for Dark Sky Status, an international accreditation awarded by the International Dark Sky Association. Dark Sky status has currently been granted to only 64 areas around the world. The Isle of Wight Dark Skies Initiative is working to obtain this accreditation for the Isle of Wight. The accreditation does not rely on removing lighting but on encouraging better use of lighting. Accreditation would have many benefits in terms of preserving the environment with benefits for wildlife. There will be an economic gain from the recognition of the Island as a world class destination for amateur astronomers. This will boost tourism, particularly ‘out of season’ when the night sky is best for such activity. To obtain Dark Sky Status an area requires a form of local lighting code. This can take the form of Supplementary Planning Guidance as used in other areas in the UK which have already obtained accreditation. Without such Guidance the quality of the Island’s night sky is at risk and the possibility of obtaining the accreditation may be lost. 7 Comments on "Isle of Wight Dark Skies: Call for ‘local lighting code’"
Full marks to Cllr Medland for supporting an “easy win” in our efforts to improve our environment AND boost tourism. Let’s have a “name and shame” list of local polluters, so that we can check what IW Council is doing about each of them. Very pleased to see the motion was passed earlier this evening – it means the Island will get a Lighting Code. Just so everyone is clear, this is not about turning off all the lights, it’s about having an adequate amount of light, in the right place at the right time. Thanks to everyone from VAS, AONB, CPRE, Councillors and many others who have supported this. Am I missing something here? Of course the sky is dark outside of built up areas, and that’s true for the rest of the country as well.